Scottish settlements in Canada date all the way back to 1621, when King James I of England and VI of Scotland granted Sir William Alexander, laird of Menstrie, a royal charter appointing him governor of a vast swath of land in North America stretching from present-day Nova Scotia, New Brunswick, and northern New England, which would henceforth be known as New Scotland, or Nova Scotia. 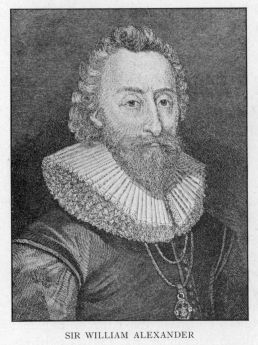 Sir William had become a well-known literary figure in the courts of Scotland and England, and in 1615 was appointed to the Scottish Privy Council, the highest royal advisory authority on Scottish affairs. Through this office he won the confidence of King James, who was to support his later colonial adventures. During Sir William's residence at court, he came to realize that Scotland was lacking participation in England's overseas expansion. As a patriot, Sir William dreamed of diverting the consistent stream of Scottish men recruited for Continental wars into a colony bearing the name of their homeland. Lacking none in courage and ambition, Sir William, sent a small crew of settlers from Kirkcudbright in 1622, but scarce supplies and bad weather near Cape Breton hindered the expedition from traveling beyond Newfoundland. 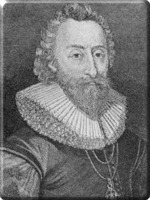 To settle the province, King James decided to confer the dignity of knight-baronet upon any Scotsman who would pay Sir William three thousand marks to support six colonists for two years in exchange for a portion of land. Charles I, who inherited the throne in 1625, was equally favourable to colonization, and made provisions for the creation of one hundred fifty baronets and for the incorporation of Nova Scotia into the Kingdom of Scotland. Unfortunately, interest was low; despite Charles' repeated attempts to encourage colonization, Sir William only managed to dispose of eighty-five baronies by 1631. At this point he was ordered to give up his colony to France, which had competing claims to the territory and was engaged in war with England. 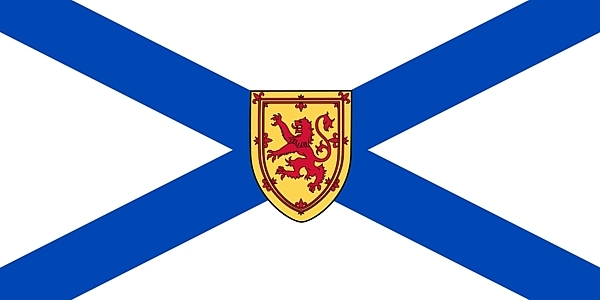 Although nearly two centuries passed before New Scotland began to take solid form, Sir William bestowed Nova Scotia with its name and flag.